In this article I cover the legalities and how to of betting online from Japan. It’s first worth noting, most reputable bookies licensed to operate in the United Kingdom also offer banking methods friendly to Japanese punters and even offer betting accounts in Japanese Yen (JPY). I’ll start with covering the best betting sites for Japan. If you also wish to understand the banking options, odds format, and legality, you can scroll down and read some of the additional material I cover later in this article. www.dafabet.com is a great option for residents of Japan. They offer betting accounts in Japanese Yen (JPY), but another benefit is they also support Japanese language. The main draw here is they offer the lowest margin odds in the industry on football, American sports and NPB baseball. Whilst they don’t offer as many markets as some bookmakers, their low margin odds and high betting limits make them a serious choice. www.bwin.com is preferred by some Japanese punters, even though BWIN does not support JPY currency. Residents from Japan can wager here using Euro or USD as their account currency. The reason many do this is for volleyball betting. Dafabet lack coverage of volleyball. BWIN, on the other hand, offers a vast amount of markets on V Premier League, V Premier League Woman, Japanese Beach Volleyball and other Asian volleyball leagues and competitions. Understand the three online bookmakers just mentioned are (in our opinion) the best options for recreational gamblers betting online from Japan. However, in order get the best value, many serious punters use a half-dozen or more additional online bookies for odds shopping. While all websites listed on our home page accept residents of Japan, other betting sites supporting Japanese Yen (JPY) currency include BetFred, William Hill, Ladbrokes, StanJames and BetCRIS. The most common question those new to betting online from Japan ask is: how can I deposit and get paid? An important note: more times than not, Japanese credit cards and debit cards are declined when used at online betting sites due to Japanese banks blocking suspicious transactions. To get around this, it’s important to use an e-wallet such as NETELLER. NETELLER accounts can be opened online at www.neteller.com. At some point during the verification process, you’ll be asked to send in a can of your local ID. This can be your driver’s license, passport, or any other Japanese photo ID. They might also ask for a copy a utility bill in your name, or if you don’t have one, a letter from your bank verifying your address. These are standard requests and know that NETELLER is a reputable company licensed in the UK as an e-money provider and is regulated by the UK’s Financial Service Authority (FSA). You should not be concerned with sending them this information. Once your account is opened and verified you can fund NETELLER using transfer from your local Japanese bank account. Pretty much all the popular Japanese banks are supported including Bank of Japan, HSBC Japan, Mizuho, Mitsubishi UFJ, SMFG, MUFG, Urban Banking Corporation, Minato Bank, Limited, Japan Net Bank and dozens of others. With a NETELLER account funded, it’s now easy to deposit to betting sites. Almost every reputable website offering online betting services to Japan accepts NETELLER; simply visit their cashier, select NETELLER, and follow the deposit instructions. Important note: Make sure when opening your account you’re careful to select Japanese Yen as your currency. Once the currency is selected it can’t be changed. Also, as soon as your NETELLER account is funded you should request a NET+ card. This is a prepaid debit card available in your choice of USD, EUR or GBP currency. This comes in handy when cashing out of NETELLER. You see, when you want to get paid your winnings, just visit the cashier of the online bookmaker you have funded and ask for a NETELLER withdrawal. Once the funds are in your NETELLER account you can either use them to deposit at other gambling sites or use your NET+ card to withdrawal some or all of your NETELLER balance at a local ATM. While the NET+ card isn’t available in Yen, you can still use it at any ATM to withdrawal in Yen. Also this card has a MasterCard logo on it, so it can be used anywhere MasterCard is accepted, even in Yen. When using your NET+ card, NETELLER will do the currency conversion for you, for which they charge a reasonable 2.5% fee. This is competitive with what local banks charge when dealing in foreign currency. While NETELLER is one of the best e-wallets for depositing from Japan, others worth checking out are Skrill and EntroPay which are two companies offering similar service. Japan does not have a standard betting odds format. In other words, while American odds, Hong Kong Odds, Indonesian Odds, etc. are all legit odds formats, there is no odds format called “Japanese Odds”. If you’re brand new to fixed odds betting and want to get an idea of how betting odds work, I suggest reading our article on decimal odds. This is a popular odds format supported at all online bookmakers accepting Japanese citizens. Is Online Betting Legal in Japan? The answer to this questions is ”technically” no. 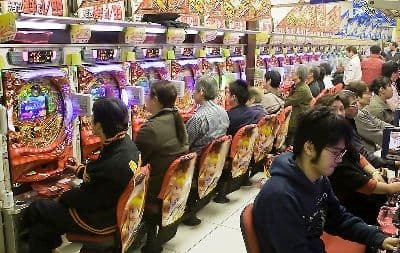 However, it’s also worth noting that the parlors found all over Japan offering pachinko and pachislot are also technically illegal. As the linked article reveals, the Japanese government estimates these two games account for ¥29 trillion in annual revenue. These clubs get around the laws by paying out in tokens that are redeemable at cashing stations located away from the gaming property. The same way there are technicalities for other forms of illegal gambling popular in Japan, there’s ones for online betting as well. Here the loophole comes from the fact the betting websites are not actually located in Japan. When you log in and use a UK bookmaker, you’re wagering with a company licensed, located, and regulated in the United Kingdom. Seeing as the Japanese government has no jurisdiction, there’s little they can do to stop foreign companies from offering betting accounts to Japanese players. From here it’s a matter of politics and diplomacy. Japan has the world’s third-largest industrialized free-market economy thanks in part to international trade. Outside the potential for WTO disputes, there are many additional reasons it’s not in the country’s best interest to pursue online betting from a legal standpoint. So at it turns out, while: yes, illegal – to our knowledge no player has ever been arrested in Japan for using a foreign online bookmaker’s website. It’s a gray area the authorities appear to have little to no interest pursuing. If you’re keen to do things 100% by the book then know it is fully legal to bet on J-League football in Japan, provided you do so using J-League Soccer Pools, also known as a Toto. This is sports lottery that while having terrible odds does offer large payouts. You can learn about all the ways to purchase entries, track results and jackpot sizes at www.toto-dream.com. Other than Toto, the only other legal forms of betting in Japan are races. This includes horse racing, bicycle racing, and boat racing. If you want to bet other sports, you’ll need to turn to the slightly less legal foreign bookmakers that operate online.